...would rather have a sweepstakes and give away a shop full of tools to you than just let me have them. And I can't even enter the contest as it is closed to dealers and their families (so my 5 year old can't enter either). Is this fair I ask you??? 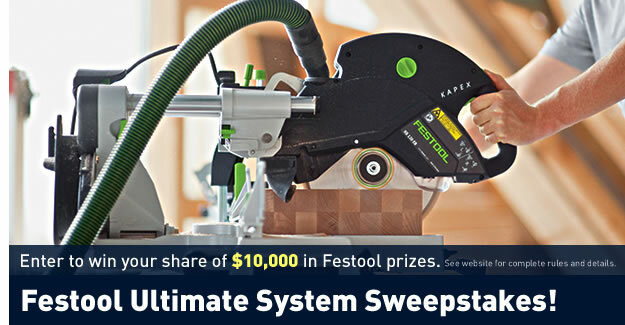 The total prizes are worth $10,000 of which the grand prize is worth over 6K including a Kapex, a multifunction table and tons of other good stuff. The contest ends May 31/2010. now whar' did I put that rabbit's foot?